Quick Summary: The first thing almost everyone starts off with when building a website is the domain name. But how much should you pay for a regular .com domain name? Our research of three of the most popular hosting providers reveals a handful of interesting facts. Read about the way GoDaddy, Bluehost and Hostgator effectively use smoke and mirrors to lift a couple of extra dollars from your pocket. I don't know why, but for some reason I have in my head the notion you shouldn't pay more than 5 USD a year for a domain name. This is based on anything but a vague notion about the prices I have payed myself in the past for domains we used for our websites. But instead of sniffing the air and coming up with some arbitrary price for a domain let's take a look at the three biggest hosting providers and how much they charge for a standard .com domain name with SSL. I will take special care reading between the lines and the small print stuffed away behind asterixs and at the bottom of pages where nobody will be looking. We don't like it but we know this is the way the big boys still make money. Obfuscating, obscuring and generally blow smoke in your eyes. I'm just saying it like it is. You don't have to like it. You don't have to agree with me. But I'll bet your behind that fine print will see some significant price increases after your initial year of purchasing a domain name. The big one. 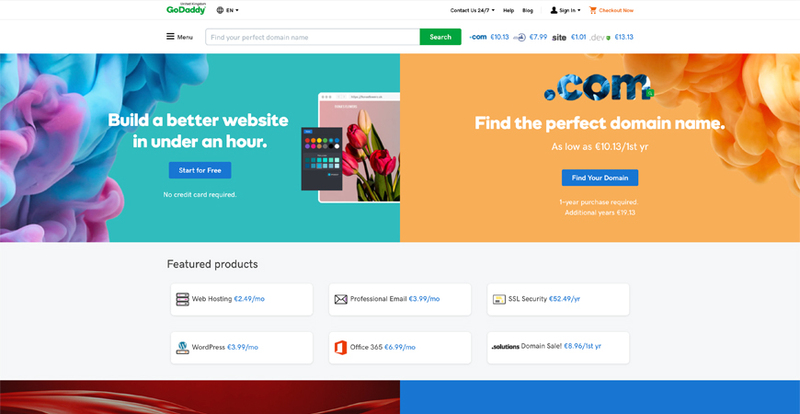 Let's see how GoDaddy handles business with respect to domain names. Please note that I'm forced to visit GoDaddy UK since I'm visiting their site from the Netherlands. They start of by stating that a domain name is just €1.13 for the first year. That is indeed very cheap. Well done GoDaddy. But it's absolutely nonsense stating that normally this would cost you €19.13. That's just somebody at the marketing department slapping some arbitrary price on there. And if the click the "pricing conditions apply" you see it excludes VAT (20 percent) and you much buy it at least for a year. I consider that standard business practice, so no hand-slapping from me there. But let's see if and how they crank up the price after a year. If I scroll much further down the page I also read the disclaimer "Prices exclude tax. ICANN fees included." Now what do these ICANN fees mean, I don't know up to this point. When I go through several cart pages, there are a lot of non-sensical domain name insurance cross-sells trying to scare me with stories about accidental domain transfers and hackers; this is just marketing nonsense. And even If I unclick this option, it magically reappears in my cart a page later, adding 7 euros to the total price. I can clearly see a huge percentage of people non-noticing this effectively quintupling the price of this domain name. Well done again GoDaddy. Initially I cannot find any information about what's the price is going to be after a year. This just makes me more suspicious. Let's delve a bit deeper. I'm not the only one suspicious of big hosting companies and how they deal with domain names. In the article " 6+ Reasons Why Authors Should Avoid GoDaddy somebody else already found out that you pay about tenfold the initial amount for a domain name after the first year. Let's see if this is true. I've looked about 20 minutes on the GoDaddy website and have not found any information concerning renewal prices. However, what I did found was one of their instruction videos detailing the domain name renewal procedure, and you can clearly see the &dollar;14.99 for a .com domain. And I have read that that renewal price is for the second year only. For the third and up it could be even hire. That means that you go from about 2 dollars to a price increase of 750 percen after the first yeart!!! Just think about a price increase of that magnitude anywhere else and GoDaddy's main office would have people lining up with pitchforks and burning crosses. The reason this doesn't happen is that these relatively tiny sums of money fall between the cracks when you don't notice it because your domain is on auto-renewal and you never look at your site after the first year anyway. Is it good is it bad? It's what is people. In the end you're responsible with what you do with your money. I'm just showing you the data. Oh, and I forgot to mention that a SSL certificate is NOT included in the price and will set you back another 69 USD a year for the cheapest standard version. That's just getting nasty. 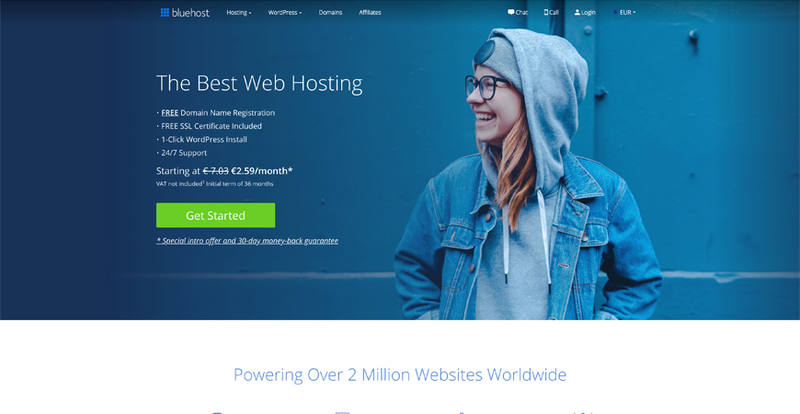 Bluehost starts off with a bang: FREE domain name registration! Smoke's coming out on every side of my laptop as I dig deeper. I can hardly see what's going on. Let's start by clicking the word "free". Immediately a message pops up that starts with the following line: "If you register a domain with Bluehost when signing up for a hosting account, there is a domain fee that is non-refundable." How about them apples? I don't know about you guys, but marketing something as free and then stating there are costs involved... I don't know, isn't that basically selling apple pie without any apples. That's smoke people, a lot of it. And the free version of the domain only applies if you buy the hosting, so again that's not free it's just part of a premium package deal. If we visit the page dedicated to domain registration we're being confronted with a .com price of € 10.54. So that's different from GoDaddy. It feels more real out of the gate. I don't think we'll see a price increase of 750 percent here, but I wouldn't be surprised at all if there still is a significant auto renewal syphoning of your money after a year. Prices exclude VAT and include auto renewal. Don't get me wrong, I'm an auto-renewal advocate because going after people with payment reminders for these amounts of money is a nightmare that will take you out of business. Auto renewals with very sharp price increases almost always is being dealt with in fine print. And that's where the marketing department has to come in with their smoke machine and blow it up your behind. Bluehost is a bit clearer with their renewal rates. It's still very small and located at the very bottom of the page in fine print but it clearly states : "* The promotional price is for the first term only and renews at the regular rate." Let's take at what's it going to be then after the euphemistic "first term". As far as I can tell, with the renewal page not nearly as readable as the promo page, the standard renewal fee for a 1-year .com domain name is €14.06. So we are moving, no doubt. And end up around the same number as GoDaddy, but I don't find it nearly as offensive as how GoDaddy shoves it down my throat. The reason being, the promo price feels far more realistic to me in terms of setting expectations. And a 30% price increase from the initial promo price is fair enough. Well done Bluehost. Adding a SSL certificate to this domain name will take you back €43.95 per year. Yes it's cheaper than GoDaddy. But I just don't like how this is marketed. Any professional web designer will tell you a SSL certificate is a requirement for a website. If you don't have it you're sites visitors will confronted with scary looking messages from Google and your browser that the site is deemed a security risk. That's deadly for getting any traffic. And needing to add something like this to your site for four to five times the price of the initial domain feels very, very unfair. The reason being that business owners don't know this, don't expect this and domain name providers don't give the proper information with respect to this feature. Let's see if the little crocodile does things any different and go over to Siteground. What do you think after the previous two? I ain't got a good feeling but we'll see. A standard .com domain starts at &dollar;12.95 per year and has a little asterix at the end, oh oh! Where will that lead us? It leads us to a tiny sentence at the bottom of the page stating "*Prices reflect discount on first term, VAT not included." Looked like somebody ran out of creativity. We might have to do this ourselves. It obviously works as an industry standard sales practice. The old bait and switch trick, only spread out across a year. Clicking on this link activates a small popup notifying us that "[products} will automatically renew after initial term at regular rate found in your control panel". This is exactly the same as GoDaddy. Meaning the actual renewal price is not publicly displayed on the website. 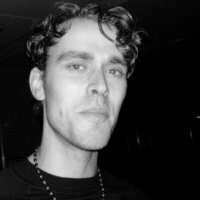 Only after actually becoming a customer and having paid will you be able to look at the renewal rate, with Hostgator knowing full well that a large percentage if not all of the clients will not stop a running contract based on a price increase on the domain name of a couple of dollars (per month). 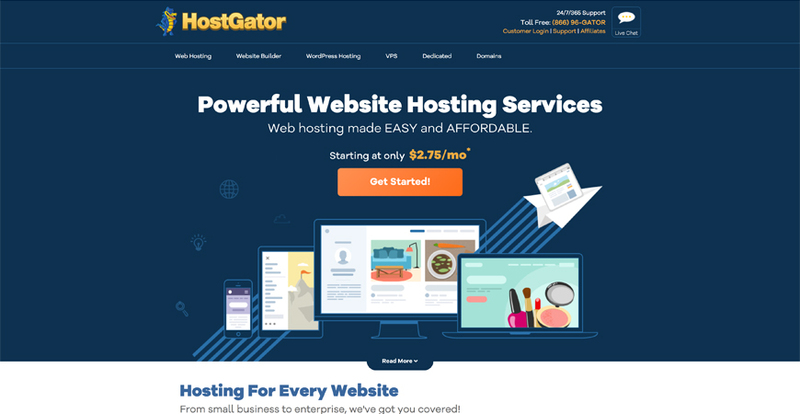 Well done Hostgator. Hostgator doesn't offer a clear overview of renewal prices except for a blog which honestly, I don't trust. It's written by a professional copywriter, not a Hostgator employee and filled with fluff circumventing the actual issue domain renewal pricing. It does state that "renewing a traditional .com domain will be around &dollar;9.99 for the entire year. ", but that sentence has a lot of gray in it. On the entire first page of Google I could not find any webpage that clearly displayed the price based on the key phrase "hostgator domain renewal price". The reason being this information is not readily available. The same renewal trick Hostgator applies to domain names they also apply SSL certificates. They are not included in the price, start at &dollar;19.99 per year and have a minimum renewal fee of &dollar;39.99. Let me sum up what our little domain name price research uncovered. We looked at buying a standard .com domain. - None of the hosting providers had readily available renewal price information, for 2 of the 3 I was unable to find it at all. This doesn't paint the most open and transparent picture about how at least these three companies are doing when it comes to informing the customer. But does that really matter? I"m on the cusp. Even a hundred dollars on a yearly basis is an extremely low amount to have any significant effect on how your business is faring in terms of cash flow. It just isn't too big of a deal. The way these companies operate can be seen more as an industry standard, given that all three do almost exactly the same thing. 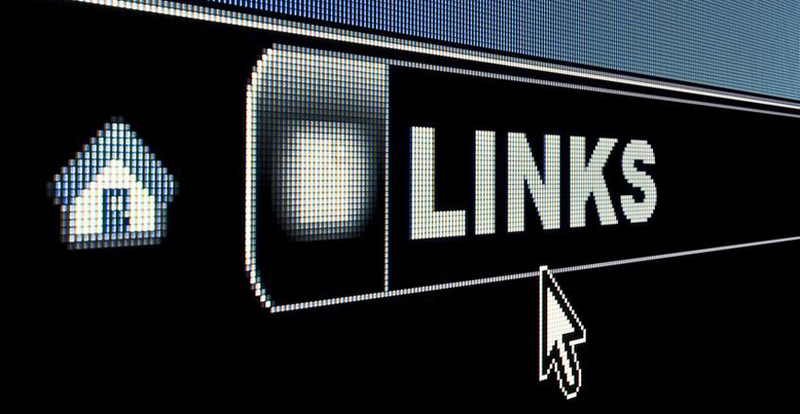 And the way they operate with respect to domain name pricing will have zero effect on your online marketing success.